Yes, it is one of the MUST WATCH movie this year!! Having watched Madagascar 1 & 2, I will not miss this! 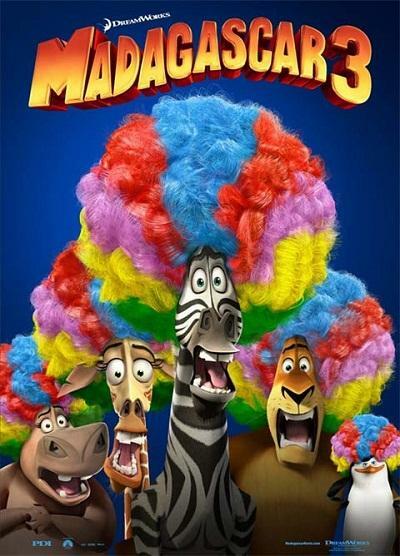 Here comes Madagascar 3: Europe's Most Wanted!!! So, Nuffnang is giving out premier tickets AGAIN!! This time, I will be writing about my favourite animal pal in the movie! The animal I LOVE the most in the movie is of course FUNNY, SMART YET DUMB MOST OF THE TIME, HOPELESS OPTIMIST, CAREFREE and DESPERATE TO BE UNIQUE! What else, he LOVES seaweed on stick! "I'm ten years old. My life is half over and I don't even know if I am black with white stripes of white with black stripes!". The voice behind the marvelous Marty is Chris Rock. Like, the funniest in the movie! Every single action he takes is hilarious! Yes, a way to describe him but who cares! That's what makes him funny! He is always optimist about almost everything. He always thinks of how to look at things on a brighter side and that's a character I wish I had. Look who is his best friend? A prey being good friend with a predator. How not carefree is he? HAHA! And finally, I like him because he has a characteristic of wanting to be unique and different from the rest. I have that characteristic too. Although we all have different characteristics, end up, we all are the same. Like how Marty realise how similar he was when he entered the field filled with zebras that look, smell and sound like him. 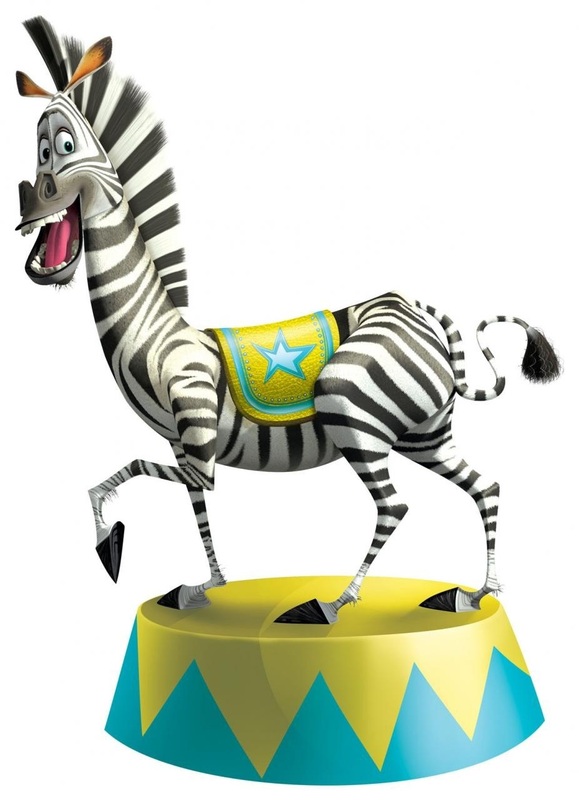 Despite the similarities, he still thinks (as an optimist) that he is one unique zebra! So, let's all wait for Madagascar 3 and rush to the cinema when it is on air! It will be zooming in to cinemas on the 7th of June 2012! Okay, I've got the cold. It has been 4 days already. Nose and eyes have been really itchy and my nostrils were most of the time blocked! I wake up every morning with a sorethroat! 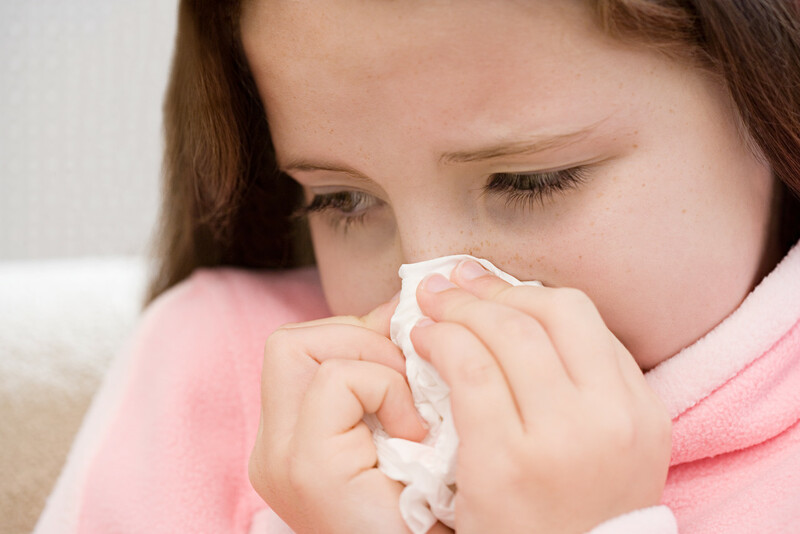 The mucus will be stuck in my throat and dry out and cause pain to my throat. Besides that, I am also having cough. Okay, I was touched today because finally someone was concern about the sickness. LOL. Nope, not my family members. Nope, not any of my friends either. He was merely a stranger! Despite the fact that I was sick, I still went to college today for Mandarin class. On my way home, I took U40. It was raining and cold. I slept in the bus. Then I woke up when the bus was nearly reaching Leisure Mall and the guy beside me ask me what time it was. I answered him and he asked me back if I were sick. He told me to take care and suggested a few medicines, both traditional and western type. He is only 16 years old! I know I have been lazing around and not updating my blog. I'm suppose to review a few restaurants that I visited. I have not even uploaded the pictures into my computer yet. The new and final semester has begun. Only first week and I am feeling kind of exhausted. Yesterday I attended 4 lectures in one day. I feel sooo tired when I got home. Thanks to my friend for giving me a ride home of course, if not I would feel more tired. I got home, surfed the net a while and took a nap. Woke up, took my bath, ate dinner and went back to sleep. So much for Friday night! So, I have no idea what I'll be doing. Maybe get myself prepared for tomorrow's job or study and do some tutorials. Anyway, tomorrow I will be working! Yes, earning side income still eventhough classes has begun! Okay, enough of my rants. Yesterday morning I took public transport to college. Dad sent me to Masjid Jamek and I got on the LRT. So, I got in and didn't have a seat. After a few stops, I finally got a seat. Do you know what is PDA? PDA basically stands for Public Display of Affection. You know, sometimes I just can't stand couples acting nonsensically in public! The couple in the LRT was sitting next to each other and the guy's face was always right in front of the girl's face. He will be hugging her and I don't know, I just try to avoid looking at that pathetic scene! I had to bare with that for more than 10 stops you know. I finally got down at Wangsa Maju station feeling all relieved. They got on the same bus as me! They had no seat so the girl leaned on the pole near the back door and the guys stood right in front of her with his arms around her neck and of course, his face right in front of hers. The front part of the bus was quite packed. Thank goodness I was at the back part! You see, this type of people are not only a sore in the eye but also brainless to cause inconvenience to the society. They should be banished to another world and in that world may everyone there live the way they are living! Anyway, yes, I hate scenes like that! Like, go get a room larhh! Or go buy a cloth or something. So whenever you wanna be so intimate, place the cloth on top of you guys and do it! HAHA, then at least it will be acceptable in public. I believe there are many people out there that also do not like this type of scene.